We hear from many of our patients that they called several other acupuncture offices, but unfortunately were turned down for treatment because they were pregnant! This certainly makes us scratch our heads a bit—so many acupuncturists specialize in fertility, including us. So, once a patient becomes pregnant that same acupuncturist won’t work with them anymore? If you specialize in fertility, that acupuncturist should feel confident enough to bring their patient to the finish line. It’s like starting a 5K but only going up to the 3K line! At Tao to Wellness, if you have worked with us to get pregnant, we urge you to continue until the 13th week to stave off any possibility of miscarriage, and especially if you’ve used ART since miscarriage rates are higher. In summary, we are here for you, from the first ovulation to way after that joyous moment of giving birth, we will see you all the way through and then some! Our acupuncturists are at the top of their game and are all fertility specialists; we’ve gone above and beyond the basic Chinese medicine studies to understand how the mechanisms behind acupuncture, fertility and finally pregnancy work. 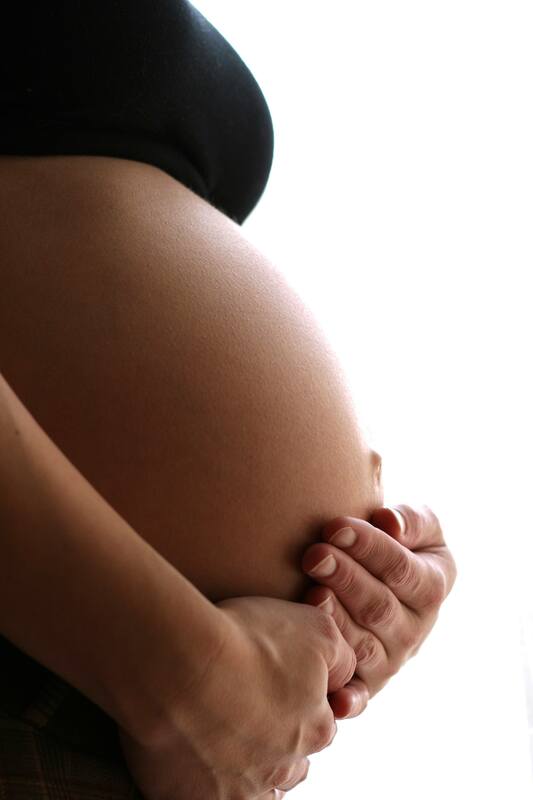 Using acupuncture for support during pregnancy can help many different systems of the body. Diminishing spasms of the uterus so implantation is solidified! Staving off any possibility for miscarriage. Enhancing blood flow to the uterus for nourishment of that embryo and fetus for normal growth. Relaxing the body overall and alleviating stress so that more Qi (Energy) and Blood is available to the reproductive organs. Building resources to enhance energy, our experience at Tao to Wellness is that low energy is the number #1 symptom during the first trimester, not nausea. Helping harmonize the digestive system whether you are experiencing nausea or constipation or some other discomfort. We also offer support in nutritional advice and supplementation if necessary. Alleviating pain; muscle, tendon, ligament or disc issues. Keeping your immunity up throughout! Being sick/having a cold in the third trimester of your pregnancy can be VERY challenging and really zap your energy! Supporting issues like Placenta Previa. Helping in breech! Research shows acupuncture and moxibustion have an 80% success rate in turning a breech baby. In fact, it was featured in the Journal of the American Medical Association! Click here for that study. Research shows working with patients in the last trimester also helped speed up their second stage of labor, which basically means the labor process was easier and faster. Who doesn’t want that? Lastly, the magic of cervical ripening or otherwise known as induction. The induction done at Tao to Wellness is gentle and non-invasive, think of it as just a small nudge. Well small nudge or not, most women do go into labor and are able to avoid Pitocin altogether. Our protocol is an acupuncture treatment with electro-stimulation 4 days in a row, some women go into labor after Day 1 while others could be right after the series of 4. In addition, here are some helpful dietary guidelines to follow while pregnant. Unpasteurized dairy products (raw milk, soft cheeses like brie/queso fresco/blue cheese). Unpasteurized and/or unwashed fruits and vegetables. Under-cooked eggs or foods that contain them (hollandaise sauce, cookie dough ice-cream). Fish with high mercury contents: swordfish, shark, mackerel, yellow fin tuna, halibut, bass, lobster, sea trout. Limit soy- it contains phytoestrogens, studies are still unclear about the effect during your pregnancy. It is advisable to eat a limited amount. If you have any questions about the above guidelines or need more recommendations, please don’t hesitate to call us. Lastly, keep in mind that although you will certainly have your hands full after giving birth, when you are strong enough to make it back to the office, we’d love to see you! Acupuncture plays a wonderful role in helping with post partum issues, fatigue, healing from a C-section and it can clogged milk ducts and enhance breast milk flow considerably. Maybe it took a long time get here or maybe this is your third child, either way let us help you feel as comfortable as possible throughout the process. Acupuncture as a support in pregnancy can be not just magical, but a lifesaver.